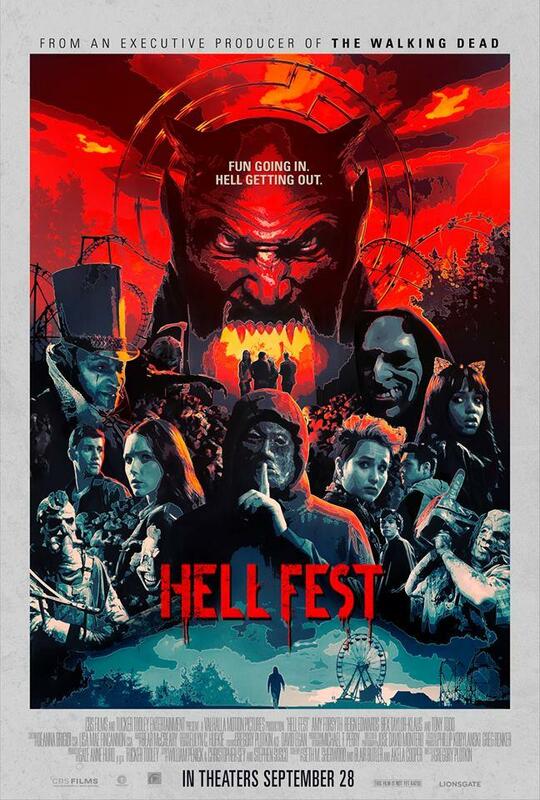 CBS Films and Lionsgate’s new themed amusement park slasher flick Hell Fest is set for release this Friday, and just before film makes its official debut, an ’80s throwback trailer has been revealed online today. You can check it out the awesome trailer below, along with a cool new piece of poster artwork. Starring Amy Forsyth, Bex Taylor-Klaus, Tony Todd, Reign Edwards, Christian James, Roby Attal, and Matt Mercurio. 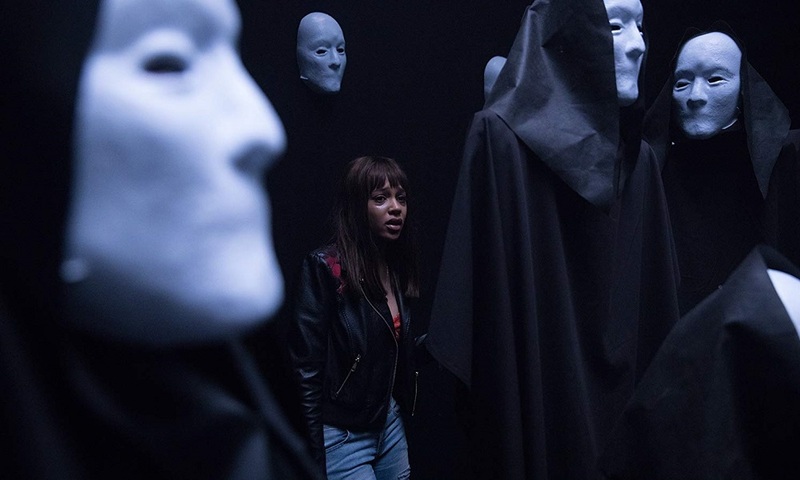 The film is produced by Gale Anne Hurd (“The Walking Dead”, The Terminator) and directed by Gregory Plotkin (Paranormal Activity: The Ghost Dimension, Editor – Get Out, Happy Death Day). HELL FEST scares US theaters on September 28th.